I’ve been super busy lately. Had a model shoot not long ago, along with horses, a car show, the northern lights and numerous amazing sunsets. Not to mention I have a drone and will share pics here soon. In the mean time I wanted to share some pics from the Minnesota Air Spectacular held last weekend. 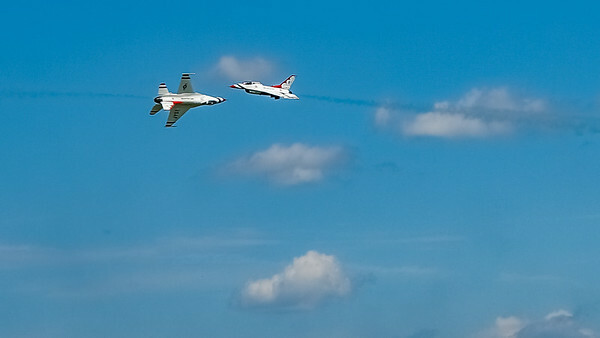 The United States Air Force Thunderbirds headlined the show. They were amazing and the weather was absolutely perfect with blue skies and fluffy white clouds. Great for photo taking. 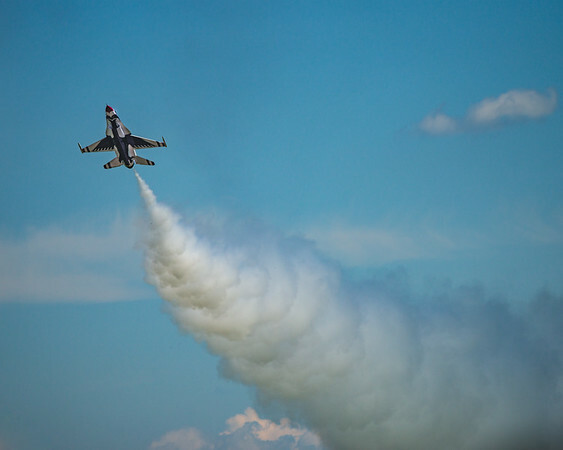 Check out all the photos in the Thunderbirds gallery. Brought the 70-400 Sony G series lens. No it’s not a F2.8 but it’s plenty sharp at 4-5.6 wide open. I’m using a Sony A99 body and really like the AF-D (auto focus with depth map assist). There are cameras that have better (maybe a lot better) auto focus but this combo I felt worked great this time. I know Sony is working to improve the AF in their new cameras like the recently announced A7r II. Above is an example of what these amazing aircraft can do! The plane is almost hovering in place and slowly flys by over the runway. The jets probably aren’t as close as they look but at these speeds there’s no margin for error. 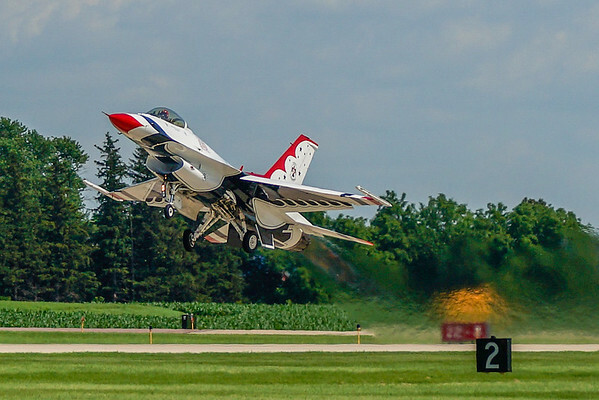 It was great fun watching the Thunderbirds perform at the MN Air Spectacular! Check out the rest of the pics in the Thunderbirds gallery.